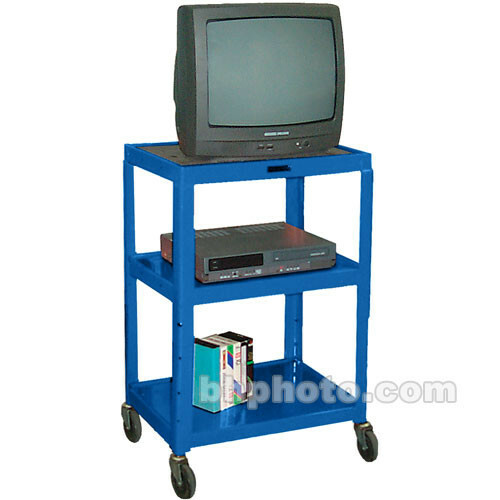 The H. Wilson Metal Open Shelf Utility Cart is a reliable and rugged cart for office, school or business use. Available in a myriad of colors, this cart features 3 shelves, each with a 1/4" retaining lip that prevents slippage. The top and middle shelves contain holes for secure cable management. This cart also features a 3-outlet assembly along with a 15' cord making it an entirely viable option for use in any venue. Box Dimensions (LxWxH) 25.0 x 22.0 x 19.0"